Hello lovelies! I am back today with yet another layout in my TN! I must say that I love to work in this size so much! 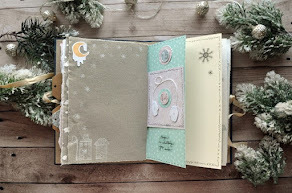 Today I´ll show you a layout where I listed stuff that I wanted to remember from the week before I got married. Simple things like how hard we worked, how tired we were, fun we had etc. As I love repeat stamping I wanted to use one of the large word stamps in the Happy memories set to create a pattern for my background. 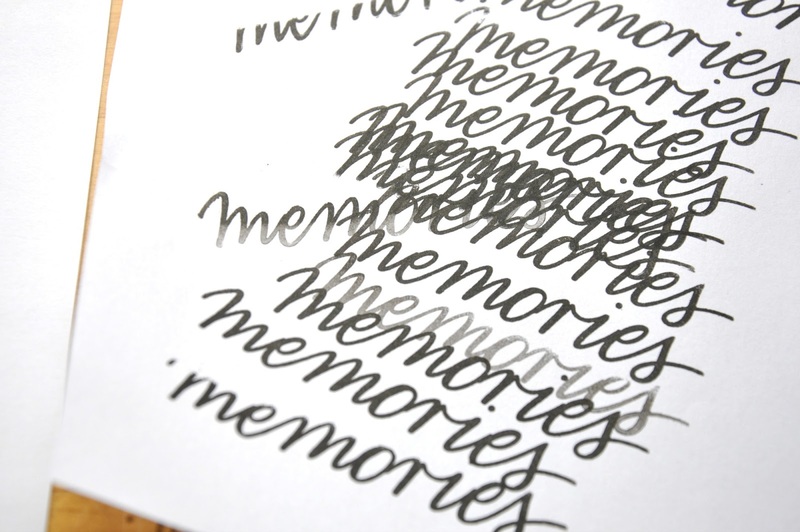 Now, I would have liked to use a lighter grey ink color, but I didn´t have any at home. So I took my black ink pad, stamped of the first impression on a scrap piece of paper and then I stamped the second time on my layout making the ink lighter. Tada! I actually love the scrap piece of paper! I stamped the stamp a bit in an angle at the left upper corner and the right lower corner. I had this sheet of beautiful paper tape strips and was so inspired by all the lovely colors! I used a few strips by my photo collage and then also on the other side to tie the pages together. For my journaling, which was in list form, I cut a few 3x4" cards from printer paper. Before writing the list I stamped with the Simply words stamp set as kind of a title at the top of the first card. I stacked my cards behind eachother and stapled the stack together like a little notebook at the top. This made it easy to flip through the journaling and a fun interactive element in my TN. I also couldn´t help but to use one more of the paper tape strips! I love that I wrote down a list of things I wanted to remember every night before the big day! What do you want to remember about right now?